I met up with the Flashnode marketing team while we were storming Slush last year and we got talking about how our respective companies were performing. I work for a SaaS startup called Leadfeeder and it became pretty evident that we were comparing the same important growth numbers because that’s the obvious way to establish performance in a startup. It got us thinking: a blog post exposing these metrics would likely help other startups and growth companies. So, in this share-all post I will reveal the 5 key metrics we use at Leadfeeder to measure our growth and sales efficiency. As a fast-growing software company, one of the most important things that has benefited us since the outset is having our metrics and KPIs monitored constantly, including on a very large office screen visible to all our visitors. Naturally this is the most important metric, so I will include it even though it's a no-brainer if you work in SaaS. At Leadfeeder, we use Google Sheets, Supermetrics reporting and Metabase to automate these reports. This gives our team and our investors real-time information on how things are going and it is transparent for everyone. When looking at MRR growth, it's not just the amount of new revenue that we're interested in, but also growth percentage per month, new purchases per month, etc. When you try new strategies in sales or marketing they should be measurable and the MRR growth metric is probably the best overall metric for that. Churn rate quickly tells your startup how happy your customers are and how well your product is working for them. Churn can be calculated with the churn rate of the customer base or revenue churn rate. There are a couple of different ways to calculate revenue churn, so it is important that we understand the difference between gross and net revenue churn. These two churn metrics are sometimes mixed and on their own they don’t provide accurate enough data. For example, net churn (the red line) can also be negative if your expansion MRR (upselling revenue) exceeds the cancellations, but this is not possible when calculating gross churn. Therefore, it is essential to measure these both to get a better idea of your churning customers. These previous metrics are the foundation of data-driven growth but we need metrics for predicting future business growth and sales efficiency too. We use Lead Velocity Rate as one of them. 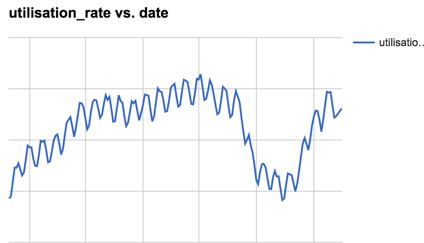 This metric calculates how the amount of signups is growing month-to-month or compared to a previous best month: As said, you can either use a month-to-month calculation to establish lead velocity or compare new signups to a previous best month. On slower months in July and December signups naturally decline because of holidays, but lead velocity rate is a pretty good indicator of how your digital marketing efforts and website is working overall. Because this metric tells how our business is developing signup-wise it can help predict future sales growth because we know the conversion rate from a trial to a paid customer. 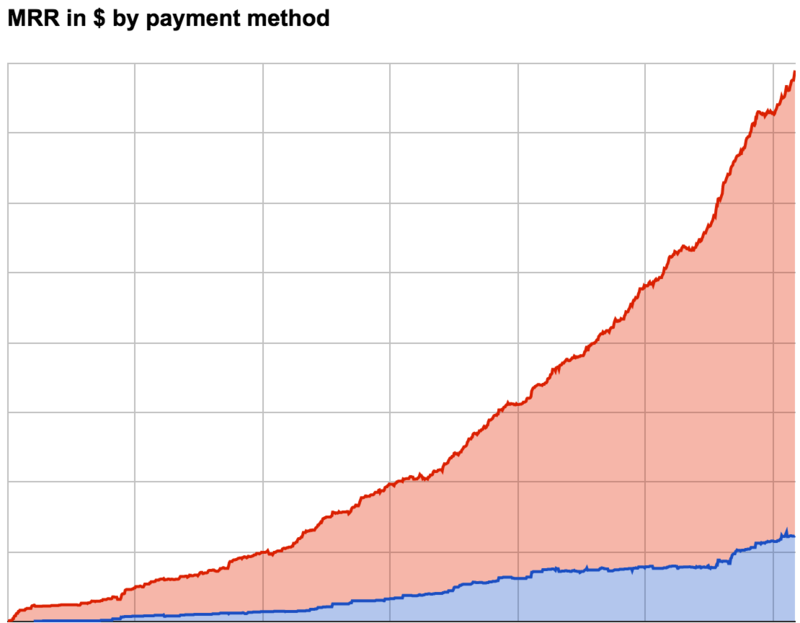 This is the conversion rate from trial user to paid subscriber because this is what our sales team can impact the most. Many SaaS tools, us included, offer a free trial for new users and if you already have a good number of trial users, it will be highly profitable if you can increase the number who purchases during or after their trial. No-touch conversion % shows how well the product sells itself with the help of automated onboarding. It’s also about the experience of new users. This “no-touch” term means that we don’t have personal training or other personal connections with the user, but rather they follow our automated onboarding. It can be calculated by observing a sample of sign-ups over a specific time period and seeing how many of them purchase. This is a simple metric used to understand how often users who attend trainings convert into paying customers. We use Pipedrive for this, so we can easily see “from lead to deal” conversion rates from the Pipeline metrics. You could also use Google Sheets and the Pipedrive API, for example, to get those KPIs to the same place where your other KPIs are stored. This metric is really useful for customer success if you have a mobile or web application, like we do. We estimate based on the logins and overall usage of the Leadfeeder tool if there is a risk for churn and if we need to engage and communicate more with our customers. This can be calculated in multiple ways and it is always dependant on your own business. As a web-based application we want to make sure that users log in and use the tool often, so they can see the value. 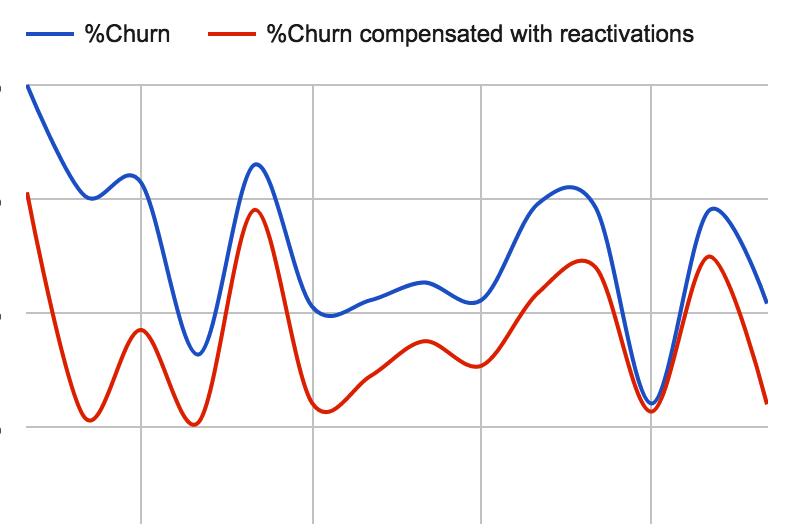 Quite naturally the risk of churn is a lot lower with active users. Utilisation rate helps to understand how active your users are and if there might be inactivity and risk for churn. 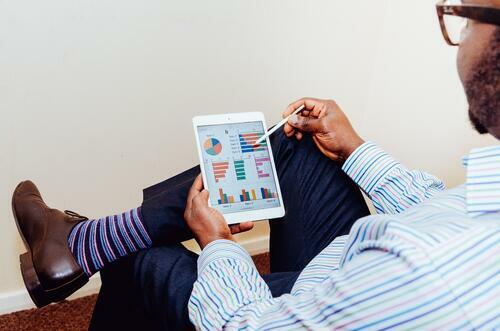 I want to highlight the importance of choosing the correct metrics for your SaaS business. It doesn’t really make sense to focus on too many of these on a daily level. Instead, pick and choose the ones that really matter and every time you make changes, look at the results, analyse and adjust. The foundation of growth for SaaS companies is increasing retention and doing more sales, so the metrics are not too complicated. But knowing how to improve these metrics is another thing entirely. Crystal clear sales and business development KPI metrics enable you to test new ideas and get feedback quickly with help from the numbers. Leadfeeder is a lead generation and web analytics startup based in Helsinki, Finland. Their goal is to make sales and marketing more intelligent by utilizing web analytics. Leadfeeder uses Google Analytics API to identify the companies that visit your website and tells you exactly what they are searching for. With integrations to CRM systems and MailChimp, you can build a complete marketing automation tool stack around Leadfeeder. 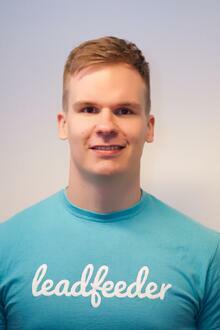 Jesse is responsible for new business activities and business development within European markets at Leadfeeder. He consults hundreds of companies annually on how to utilise web analytics and marketing intelligence in sales.